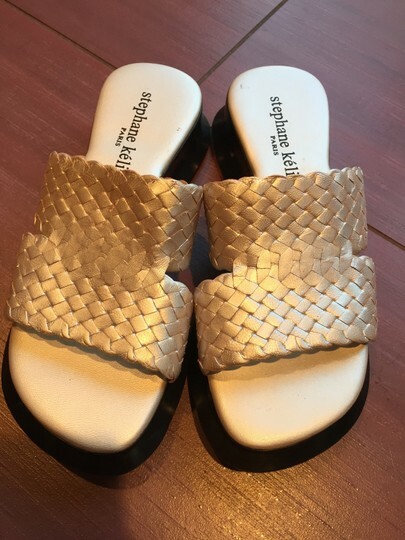 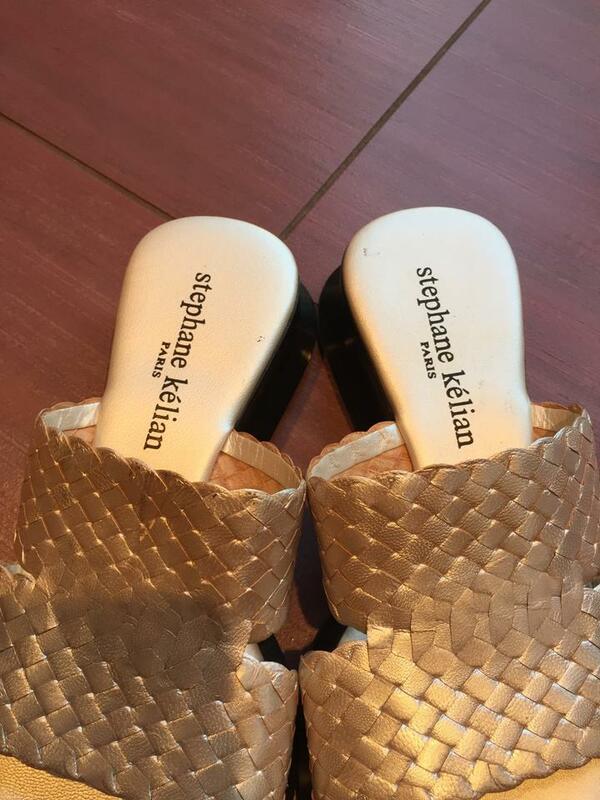 Never worn Stephane Kelian metallic gold woven leather platform slides. 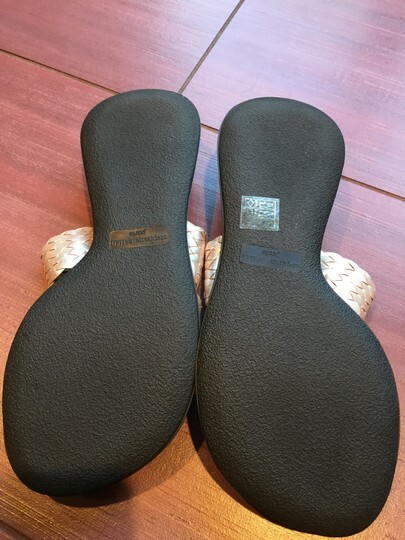 Size UK6 which is a EU39 or US8. 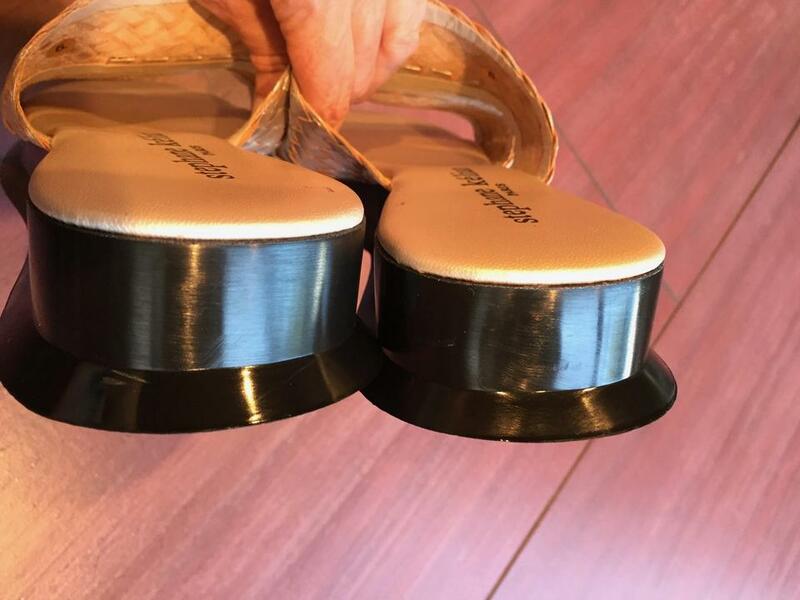 Rubber sole, platform and stacked heels. 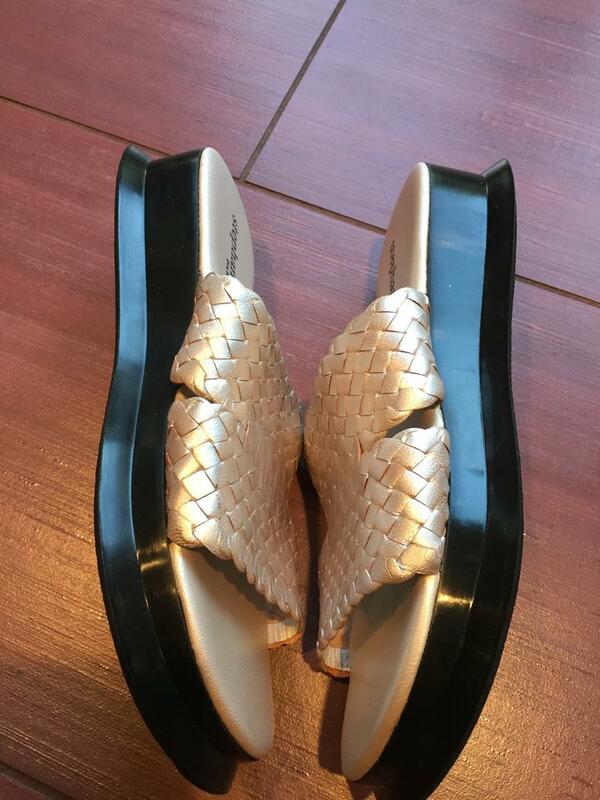 No shoebox. Made in Paris. 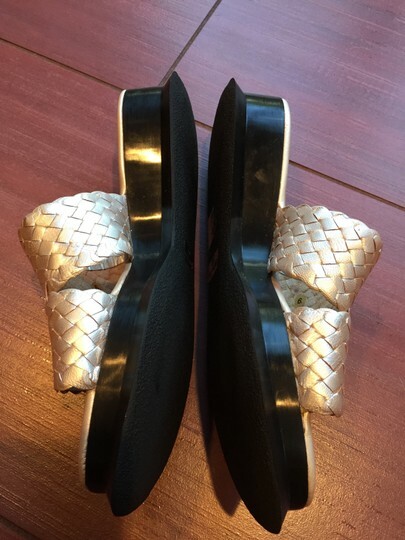 Shoes are in outstanding condition with just a couple black marks on the footbed.